Market Street Park is now open! Despite rainy weather, Huntingburg Mayor Denny Spinner addressed the crowd Saturday for the Market Street Park dedication ceremony. 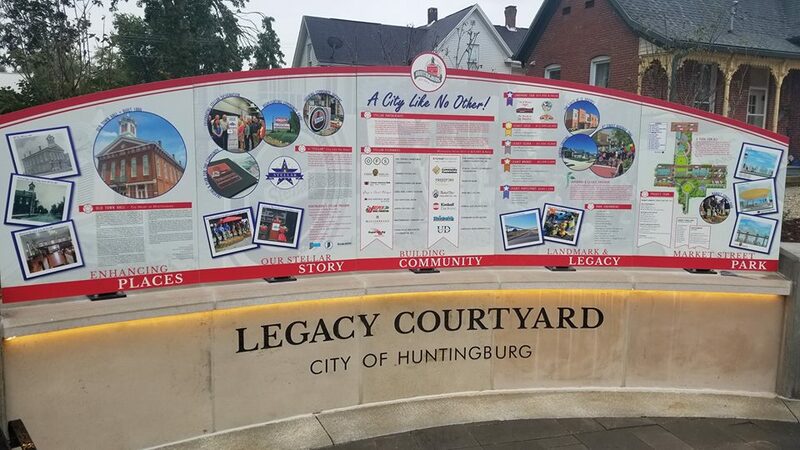 Spinner revealed what he called the “Legacy Wall” which is used to tell Huntingburg’s Story as well as recognize certain aspects in the history and spirit of Huntingburg, each having a certain panel. The first panel recognizes The Old Town Hall. The second panel recognizes how Huntingburg received the Huntingburg Stellar Community Designation. The center panel talks about building community, which recognizes those who made the community “Stellar” before the designation. The next panel recognizes the Landmark Legacy Partnership in the Dubois County Community Foundation, which will evolve as support continues. The final panel recognizes the Market Street Park itself and all those involved in making the project a reality. Huntinburg Mayor Spinner says that last night was a great day for Huntingburg, despite the rainy day. Spinner also said that the possibilities are endless to use the park to its fullest. 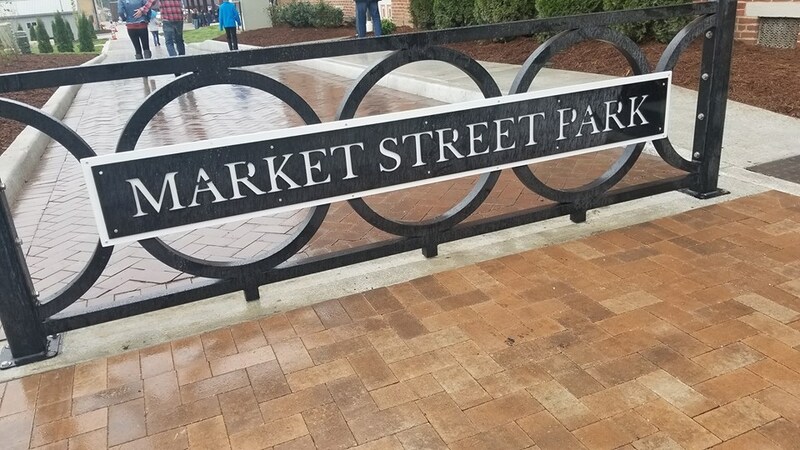 The Market Street Park is now open and can be found between Market Street and 4th Street in Huntingburg. Be the first to comment on "Market Street Park Opens To Public"